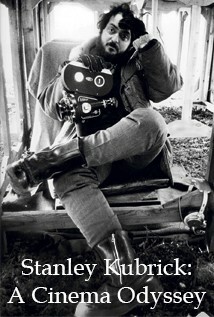 After his initial breakthrough film ‘The Killers’, Stanley Kubrick went on to produce a litany of 20th century cinematic icons: ‘Paths of Glory’, ‘Dr. Strangelove’, ‘2001: A Space Odyssey’, ‘A Clockwork Orange’, ‘Barry Lyndon’ (screening at New Park on 9 & 14 Mar), ‘The Shining’. An uncompromising master in scope and scale of visual storytelling, Kubrick ignored convention by embracing black comedy, political satire, war, historical drama, horror, speculative sci-fi, neo-noir, documentary and sexual melodrama. "A film … should be more like music than fiction … a progression of moods and feelings. The theme, what's behind the emotion, the meaning, all that comes later." Rather than concentrate on themes and narratives, our interactive workshop will explore Kubrick’s artistic development over time - his continuities and tangents, his extensions and repetitions, his “mysterious parts”. We’ll also survey Kubrick’s exceptional technical accomplishments which helped him render his epic visions onscreen, right down to the minute particulars. As a finale, we’ll examine two of his most enigmatic films, ‘2001: A Space Odyssey’ and ‘The Shining’, which both involve travelling into confined spaces, murderous occupants, violence unleashed, labyrinths and time-slips (that’s just for starters). Everyone welcome. Please note that this day course was moved from the originally programmed March 2nd. Apologies for any inconvenience caused.